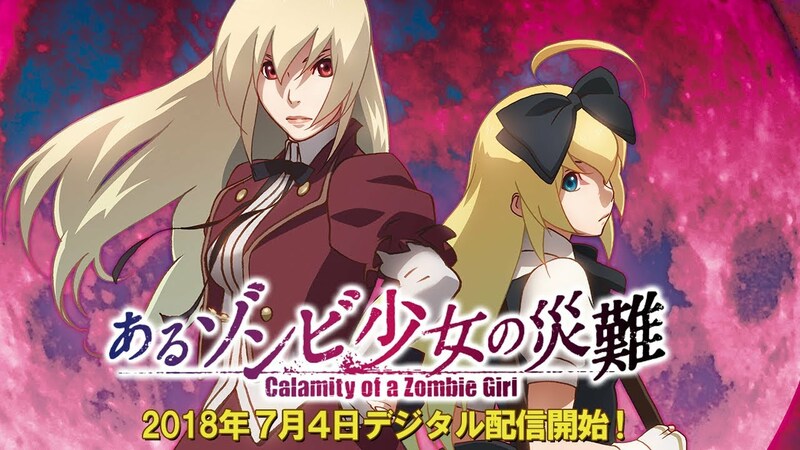 Calamity of a Zombie Girl is a horror film. If we’re being more precise, it’s a schlocky horror picture show, and it doesn’t pretend otherwise. It’s a film in which college-age students investigate an occult mystery, uncover something they shouldn’t, and then start dying messily. There will be blood. Heads will be severed and splatted. Females will be inappropriately unattired. Cute animals will have a bad time. And none of the victim will think of doing the obvious things like getting away from here. Taken all together, it’s a time-honoured template, familiar to the kind of grizzled gore-hounds who’d watch a film like Bloodbath at the House of Death just for its name. But at the same time, Zombie Girl has a big “twist” on horror formula that’s rather interesting. That’s partly because the film doesn’t treat it as a twist at all; it’s something given away in the opening minutes. Breaking a cardinal rule of suspense, the killers aren’t kept off-camera for most of the picture. Nor are their faces concealed behind hockey masks or their Japanese equivalents. (I’d love to see a slasher film where the psycho-killer dresses as Hatsune Miku.) Instead, we learn all about the killers in the opening minutes. At the start of the film, a group of college students break into a locked-down building, hunting for rumoured treasure. Instead of loot, they turn up two Hammer-style coffins which contain what appear to be the mummified corpses of two girls. With time running out, the students leave again, but not before one of their number desecrates one of the bodies and steals something. Left alone, the “corpses” rejuvenate into attractive females and rise from the dead, more like Buffy than Dracula. We quickly learn the two zombies’ names: Euphrosyne, an ingenue in a ruffled dress, and her petite maid Alma, who wears an oversized black bow that screams “Cosplay me now!” Strangers in a new land and century, the girl quickly realise they’ve been robbed, and so the fun begins. Unlike the usual horror-film maniacs, the girls aren’t driven to gory killings; they’re just not averse to them. They want their property back, and if that means breaking a few eggs, or limbs, or heads, then so be it. These are not ravening psychos; they’re just murderously miffed. It’s not much of a spoiler to say the film is soon encouraging you to take the side of the zombie girls. Not only are Alma and Euphosyne more well-rounded and likeable than their victims, but they’re not even the nastiest characters in the film. I’ll also readily say that Zombie Girl won’t be for everyone. It has a sense of humour that’s occasionally Pythonesque but often plain puerile; some gags towards the end suggest the filmmakers had been watching their Re-Animator. Oddly, the best joke in the film is a toilet gag. Zombie Girl is unusual in that it was a feature-length anime released online in Japan. Of course, that meant it could circumvent TV broadcast restrictions – none of those pesky censor’s bars! – without needing to stump up the cost of a cinema release. Unlike many genre horror pictures, however, the film has surprisingly big names, at least for anime fans. Euphrosyne is voiced by Saori Hayami, whom SLA regulars may remember as the plaintive deaf girl Shoko in A Silent Voice. Sayaka, a woman who may know more than the other hapless characters, is voiced by Miyuki Sawahiro, who you may know as Celty in the Durarara!! franchise and Fujiko in Lupin for the last decade. Another student, the karate-kicking Yui, is voiced by former idol singer M.A.O. (Mao Ichimichi). Recognising these voices in such an overtly disreputable context is part of the fun, like seeing Johnny Depp or Kevin Bacon in 1980s slasher flicks. Calamity of a Zombie Girl is screening at Scotland Loves Anime.